Senator Derryn Hinch has announced that he will move a motion calling for school that turn away gay students or teachers to be stripped of their commonwealth funding. 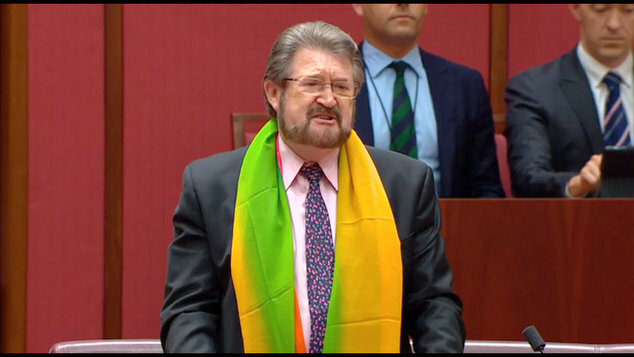 “I will move a notice of motion in the Senate [on] Monday calling for any private school that discriminates against a teacher or student on sexuality grounds be stripped of all government funds and charity status,” Senator Hinch wrote on Twitter. He later told a radio station that he considered the practice of turning away staff or students on the basis of their sexuality to be immoral. “Schools cannot discriminate against a child or a teacher on the grounds of sexuality. It’s just immoral.” Senator Hinch said. Senator Hinch’s proposal comes after sections of the Ruddock Review into religious freedom were leaked to the media. Extracts from the unpublished report show a recommendation that would allow schools to turn away students or teachers who they believe to be gay, but they would also be required to publish specxific policies outlining their stance. Exemptions from the anti-discrimination law already exist in federal legislation, bit the laws are different on a state by state basis. Some states like Western Australia, Victoria and New South Wales do allow schools to expel students and fire teachers who are gay, bisexual or transgender, but the laws in Tasmania and Queensland offer greater protections. Yesterday Prime Minister Scott Morrison argued that the recommendations in the report did not continue a change from the status quo. Former Attorney General Philip Ruddock, who chaired the panel looking into the issue of religious freedom, also said the recommendation did not constitute an expansion on the existing provisions. Joining Senator Hinch in the call to remove funding from schools who wish to discriminate against LGBTI students and staff is News Corp columnist Andrew Bolt. Bolt opened his Sky News program on Wednesday night with a call for funding to be stripped from schools who have a desire to discriminate and he also published his thoughts in his newspaper column. “Yes, the schools – Christian and Muslim – who want to reject gay students as an abomination can do that – These schools are free to be bigots – but I don’t want my taxes subsidising that bigotry. Cut ’em off. ” Bolt declared. Bolt said it was no surprise that successive Prime Ministers has sat on the report for five months wondering what to do with it, given that the leaked recommendations had immediately highlighted a vast range of difference among coalition members.